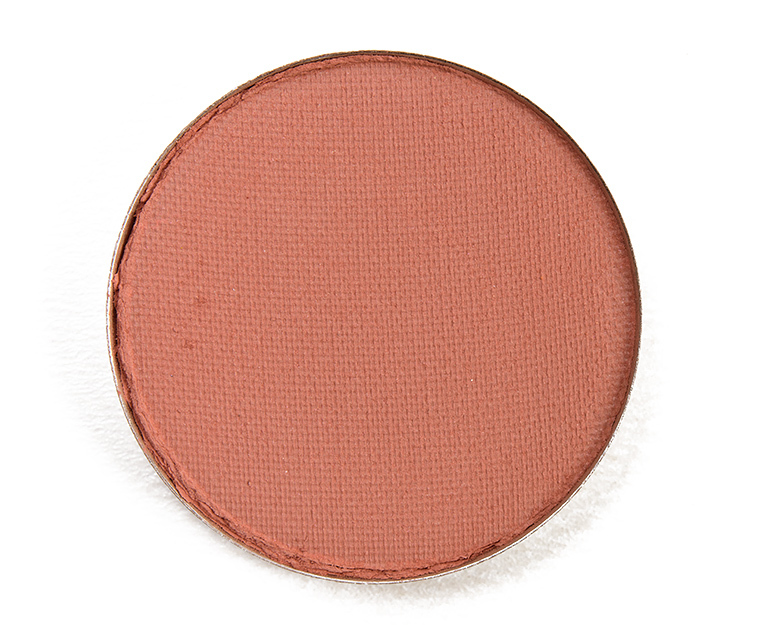 Sydney Grace Cali Matte Shadow ($5.00 for 0.06 oz.) 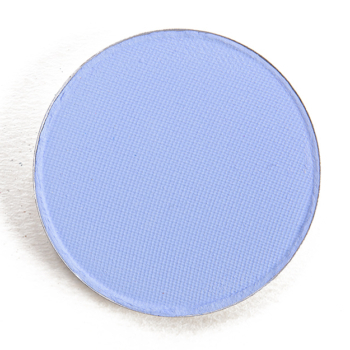 is a bright, pale blue with strong, cool undertones and a matte finish. It had medium, buildable pigmentation with a soft, moderately powdery consistency. There aren’t a lot of shades like this to begin with, and they are often on the more powdery side with a tendency to sheer out and have fallout–this shade was no exception, though it was better-performing and workable over a lightly tacky base. It started to fade on me after seven and a half hours on me. Sydney Grace Oasis Matte Shadow ($5.00 for 0.06 oz.) 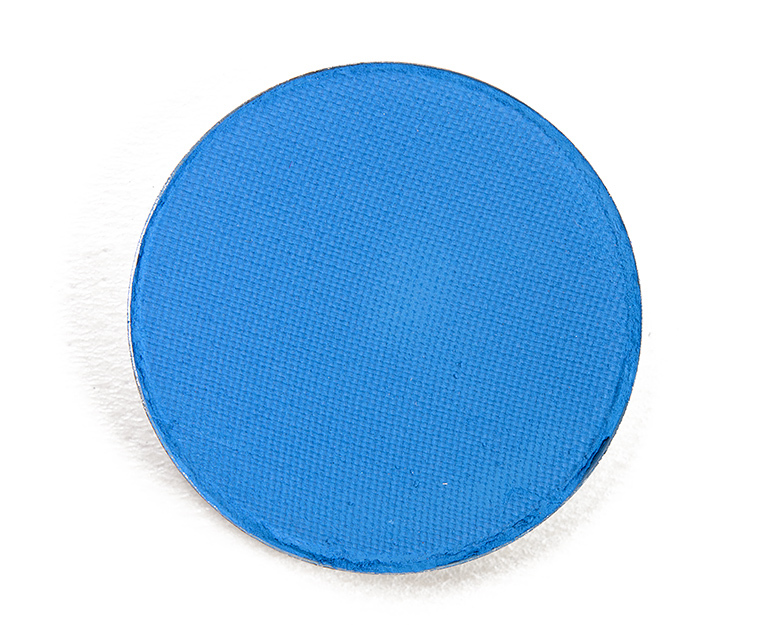 is a bright, light-medium blue with cool undertones and a matte finish. The color coverage was opaque, while the texture was smooth, velvety, and blendable without being powdery. It wore well for eight hours on me before it started to show signs of wear. Kat Von D Synth (LE, ) is warmer (95% similar). Bad Habit Dreamland (PiP, ) is warmer (90% similar). 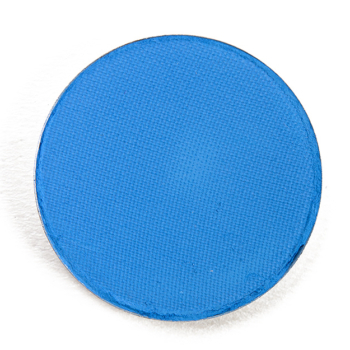 MAC Blue Candy (LE, $17.00) is more shimmery, warmer (90% similar). Coloured Raine Drip Drop (P, $6.99) is darker, warmer (90% similar). Kat Von D Doom (LE, ) is lighter, warmer (90% similar). MAC Triennial Wave (LE, $17.00) is more shimmery, warmer (85% similar). Natasha Denona Laguna (LE, ) is warmer (85% similar). Natasha Denona Koh Tao (89V) (P, $29.00) is lighter, warmer (85% similar). MAC Electric Eel (P, $17.00) is more shimmery, warmer (85% similar). Viseart Bright Editorial #8 (P, ) is darker, more muted, warmer (85% similar). 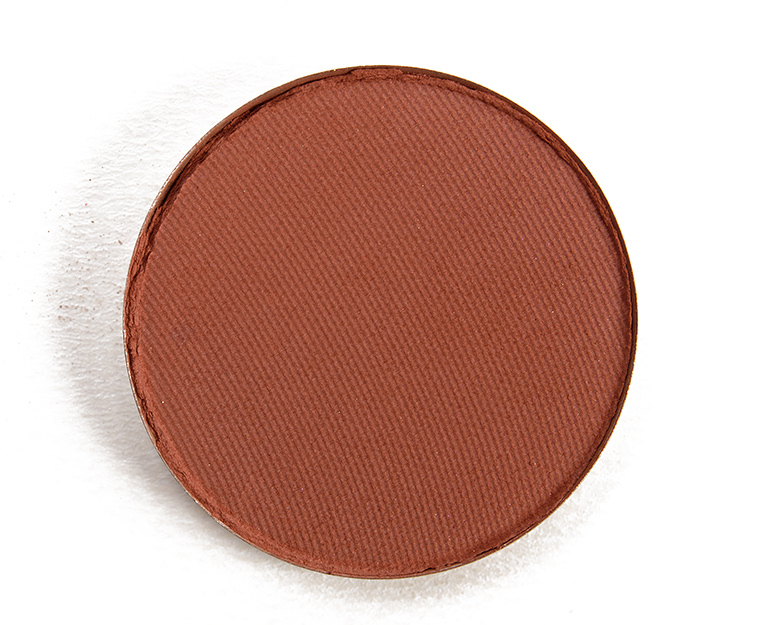 Sydney Grace Caramel Matte Shadow ($5.00 for 0.06 oz.) is a medium brown with warm, reddish undertones and a matte finish. The texture was smooth, firmly-pressed without being stiff, and blendable on my skin. It had rich color coverage that adhered well to bare skin and stayed on for eight hours before fading noticeably. Colour Pop Want U Back (PiP, $5.00) is lighter (95% similar). NARS Whipped (LE, $19.00) is darker, cooler (90% similar). Too Faced Hookup (PiP, $16.00) is lighter, warmer (90% similar). Urban Decay Not For Sale (LE, $19.00) is lighter (90% similar). Coloured Raine Nighty Night (LE, $6.99) is lighter, warmer (90% similar). Colour Pop Lil’ Boat (DC, $5.00) is lighter, warmer (90% similar). Colour Pop Macchiato (LE, $5.00) is brighter, cooler (90% similar). Wet ‘n’ Wild Not a Basic Peach #1 (PiP, ) is lighter, warmer (85% similar). Sleek MakeUP Propose in Prague (LE, $9.99) is lighter, warmer (85% similar). Tarte Fringe (LE, ) is lighter, cooler (85% similar). Sydney Grace Drift Matte Shadow ($5.00 for 0.06 oz.) 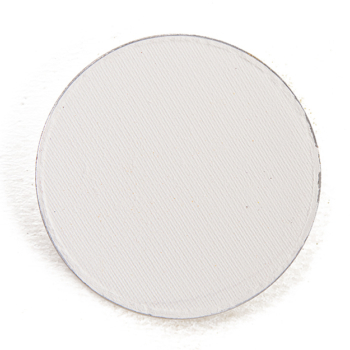 is a pale beige with subtle, cool undertones and a mostly matte finish. It had opaque pigmentation with a soft, lightly powdery consistency that was velvety and denser, which gave it substance and helped it maintain its opacity when applied to bare skin. It lasted well for seven and a half hours on me before fading noticeably. 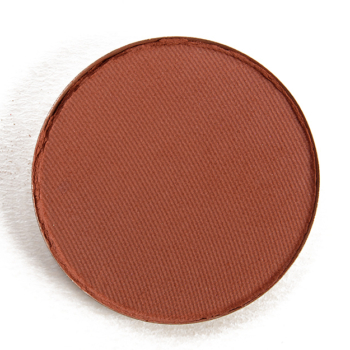 Makeup Atelier Natural Chestnut #1 (P, ) is cooler (95% similar). Urban Decay Thirteen (PiP, $19.00) is cooler (95% similar). Make Up For Ever M530 Eggshell (P, $17.00) is cooler (95% similar). Make Up For Ever M530 Eggshell (DC, $21.00) is darker (95% similar). Tarte Date Night (LE, ) is warmer (95% similar). Anastasia Blanc (P, $12.00) is cooler (95% similar). Bobbi Brown Ivory (PiP, $22.00) is cooler (95% similar). Too Faced Cream Colored Ponies (LE, $16.00) is darker (95% similar). Urban Decay Off the Grid (LE, $19.00) is warmer (90% similar). 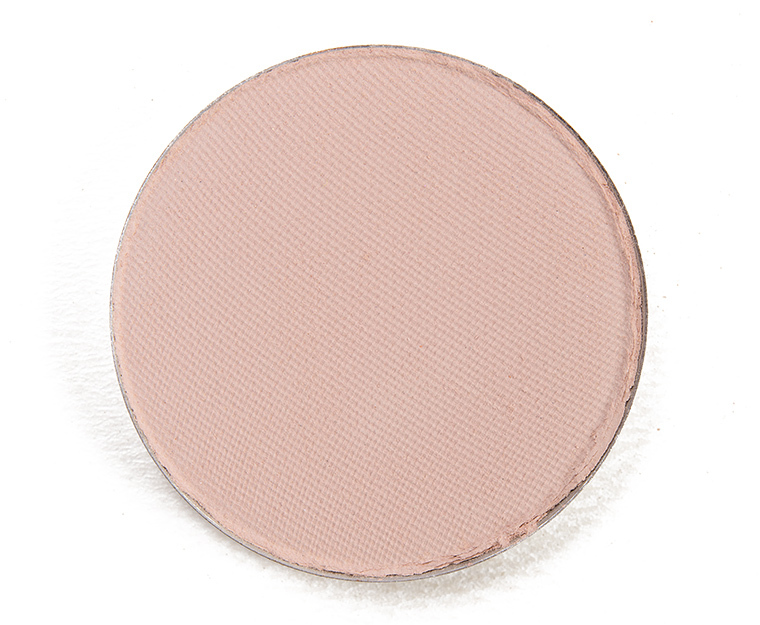 Sydney Grace French Hens Matte Shadow ($5.00 for 0.06 oz.) 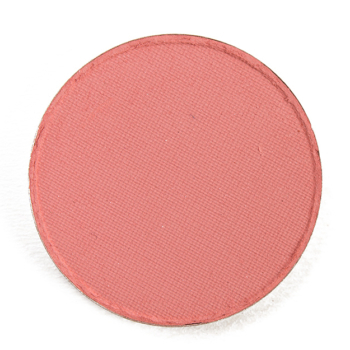 is a medium coral with strong, warm undertones and a matte finish. The color coverage was opaque in one layer, while the texture was soft, a little drier but not enough that it appeared dry or was prone to sheering out on my skin. It blended out well along the edges and wore well for eight hours on me. Sephora Tiger (PiP, ) is darker (95% similar). Urban Decay Juicy (PiP, $19.00) is cooler (95% similar). Huda Beauty Ruby #8 (LE, ) is darker (95% similar). Anastasia Coastline (LE, $12.00) is darker, warmer (95% similar). Charlotte Tilbury Love Eyes (Smoke) (LE, ) is darker, warmer (90% similar). Marc Jacobs Beauty Fantasy (LE, ) is darker (90% similar). Dose of Colors Berry Chic (PiP, ) is darker (90% similar). NABLA Cosmetics Gea (PiP, $8.00) is lighter, warmer (90% similar). Sephora + Pantone Universe Lantana (LE, ) is lighter (90% similar). Colour Pop Wiser (LE, $5.00) is darker (90% similar). Sydney Grace Honesty Matte Shadow ($5.00 for 0.06 oz.) 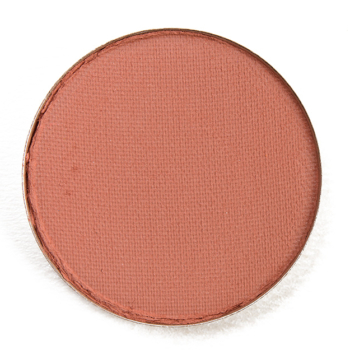 is a soft, rosy brown with warm undertones and a matte finish. It had nearly opaque pigmentation with a soft, velvety consistency with a smidgen of powderiness present in the pan. The eyeshadow applied evenly to my skin and blended out without much effort. It stayed on nicely for eight hours on me before I noticed fading. Ciate Nini (LE, ) is cooler (95% similar). Tarte Different Strokes (LE, ) is cooler (95% similar). Colour Pop Kennedy (P, $5.00) is more shimmery, lighter, warmer (90% similar). LORAC Nectar (PiP, $19.00) is cooler (90% similar). Smashbox Supermodel (PiP, ) is lighter, cooler (85% similar). Tarte Natural Peaches (LE, ) is lighter, warmer (85% similar). Natasha Denona Vega (111CM) (PiP, ) is lighter, cooler (85% similar). Natasha Denona Bermuda (130CM) (PiP, ) is lighter, warmer (80% similar). LORAC Dunes (LE, $19.00) is lighter, warmer (80% similar). 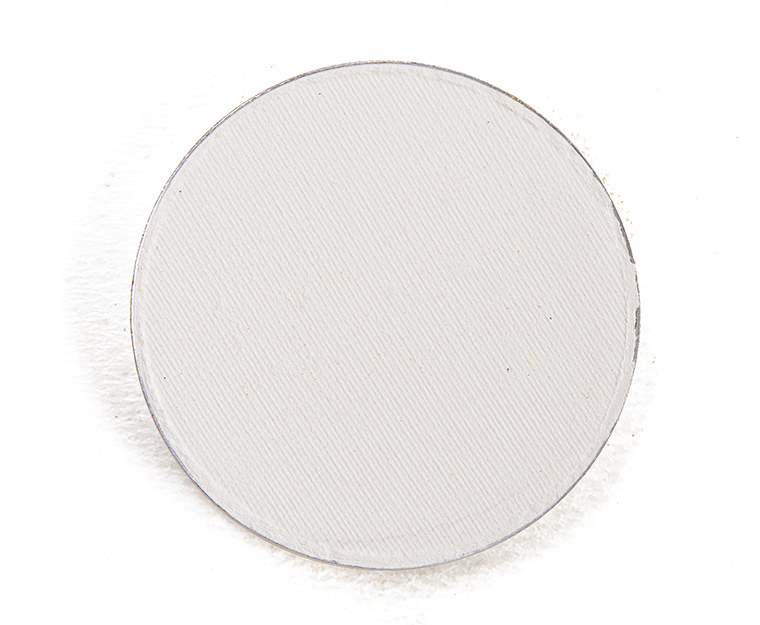 Sydney Grace Snow Queen Matte Shadow ($5.00 for 0.06 oz.) is a pale white with cool undertones and a matte finish. It had a lightly powdery texture but was more substantial, so there was some density/thickness to the product, which enabled it to maintain more semi-opaque coverage even when applied and blended out a bit (though there was some fallout). It had nearly opaque pigmentation before blending. This shade lasted well for seven and a half hours on me before fading noticeably. Sephora + Pantone Universe Bright White (LE, ) is warmer (95% similar). Bobbi Brown White (LE, $22.00) is darker, cooler (95% similar). Make Up For Ever M126 Chalk (P, $17.00) is darker (95% similar). Sugarpill Tako (P, $13.00) is warmer (95% similar). 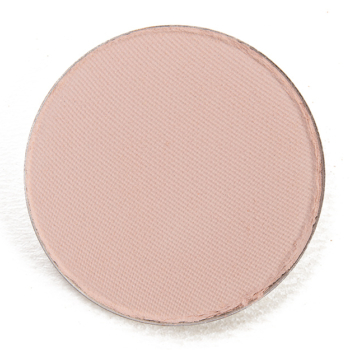 LORAC Cotton (LE, $19.00) is more muted (95% similar). Kat Von D Por Vida (LE, ) is brighter (95% similar). Sephora Porcelain (LE, ) is cooler (90% similar). Zoeva Fuzzy Haze (LE, ) is darker, more muted (90% similar). Too Faced Coconut Cream (LE, $16.00) is warmer (90% similar).